I seem to have the happy knack of sitting next to someone I should probably know but I don't. Some years ago at an event in Cambridge I found myself sitting next to a very friendly lady at lunch who introduced herself to me as Onora O'Neill. Hands up, never heard of. In fact the programme stated she was actually Baroness O'Neill of Bengarve and the principle of Newnham College but I was still none the wiser.We chatted away over the quiche and the waldorf and she took a great interest in what I did for a living and family matters. Offspringette had just been accepted for her traineeship at the BBC so we had a very long chat about all that and I possibly said something mildly pessimistic about the state of the NHS. Actually make that a definite. If we met again now I'd have to update and tell her that after all that expensive training Offspringette did not love the underground life of the darkened studio as much as she thought she would, was not impressed at Life With Auntie, so the free spirit in her threw it all in earlier this year for a life on the ocean wave. No change in the condition of the NHS from where I sit. It was only later when she spoke at the event that I discovered that not only did I think Onora O'Neill was a gifted and enlightened speaker, but the BBC obviously thought the same as she had given The BBC Reith Lectures in 2002. So my interest was piqued when those lectures, published as A Question of Trust came my way, because I've also been dipping into a recent biography My Father - Reith of the BBC written with searing honesty by his daughter Marista Leishman.The lectures founded in honour of her father 'in recognition of his contribution to culture and national life' . What an unusual book for me to be gripped by on a Sunday morning but for anyone who works in a public and highly accountable organisation this is a must read, because even five years on plus ca change in fact tout et plus mauvais (blame babelfish if that's wrong). 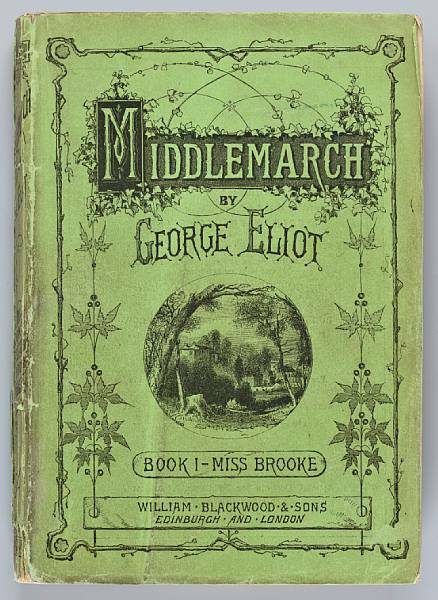 To be honest it's them at the top as well as the pond life like me at the bottom who should be reading this book, but its interest is far-reaching because whether we work for them or not we all use or rely on those organisations on a regular basis. A philosopher's view of trust and deception and asking whether and how trust can be restored in a modern democracy. Sounds slightly dry as dust? 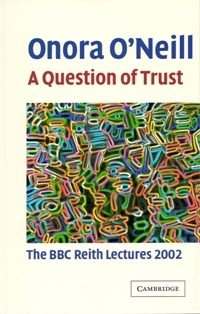 Not a bit of it, Onora O'Neill builds up a coherent and readable argument throughout her five Reith lectures, carefully highlighting just how trust in public service organisations has dissipated down the years and how much worse things have been made by the very systems put in place to try and restore that trust. Heaven knows how we try not to, but heaven knows we fail daily. The examples quoted from the NHS are those familiar to us all and from the inside painfully obvious to us all. We are now compelled to practice defensively in order to cope with a system which has us target-driven and marched up the litigation path with far greater frequency.Mountains of paperwork and record-keeping now the only definitive paddle to keep your head above water when you are stuck up the creek, but the one also most likely to trap you in a morass of mud when you are faced with writing it, often in triplicate. That said, subpoena me to appear in court and I'll be delighted to have a wheelbarrow full of the stuff, paperwork that is, not mud. This and so much more of interest packed into one small book, plus the most fascinating final chapter on the powerful institutions and professions who have escaped the revolutions in accountability and transparency, namely...well, no I couldn't possibly comment, I think you'll have to read this excellent little book to find out but I promise you won't be disappointed.